An historic algae bloom is creating havoc along the West coast of North America, causing economic and potential health problems. Studies are underway to determine the causes of the algae bloom, which caused more than $9 million in lost income in the Washington state fisheries industry, according to the National Oceanic and Atmospheric Administration (NOAA). 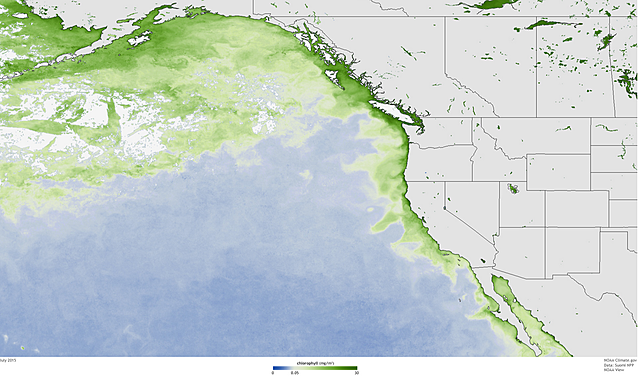 The algae bloom, which began in May and stretches from Alaska to Southern California, is record-setting, according to NOAA. While algae blooms are not uncommon in the Pacific, both the size and duration of this algae bloom have been unusual. Coinciding with well above-normal sea surface temperatures, the algae can produce a potent toxin that can be harmful to people, fish and marine mammals, NOAA said. 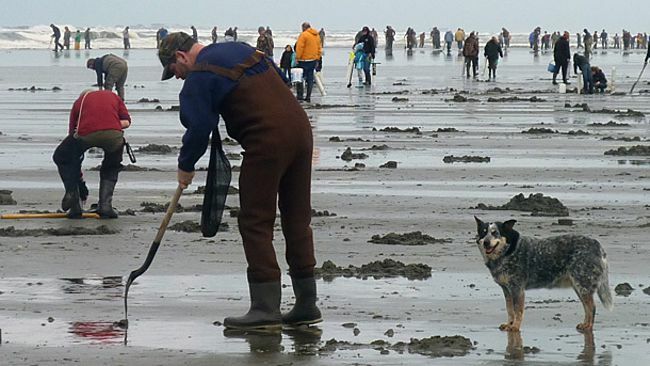 It also has affected the Washington commercial crab fishing industry, which generates about $84 million a year. One of the main problems with the potential toxicity is that cooking the seafood won't remove the toxins. Cooking will kill the algae that produces the toxin, but the toxin itself is not affected by cooking and remains in the shellfish tissue, the Washington State Department of Health said on its website. Dead and dying whales, gulls and forage fish have been reported off the Alaskan coast, NOAA said. One project underway to study the problems has researchers trying to determine why harmful algae bloom hot spots exist and how human influences, such as nutrient runoff, and natural upwelling of deep ocean water interact to cause blooms. The record algae bloom is occurring amid above-normal water temperatures. Sea surface temperatures (SSTs) are running between 13 and 20 degrees Celsius (55-68 F), about 1 to 3 C above normal, AccuWeather Meteorologist Anthony Sagliani said. "The primary reason they are above normal is a strongly positive Pacific Decadal Oscillation (PDO), which is a horseshoe pattern of warmer-than-normal waters along the coast of western North America," Sagliani said. "Though SSTs will drop some through the fall and winter, as it typically the case, the positive PDO and El Niño will remain, or even intensify, and as such, so too will the above-normal water temperatures," he explained. "El Niño does not play a direct role, but generally speaking, El Niños are more likely to occur during a positive PDO." In Washington state, recreational and commercial crab fishing is prohibited on 45 miles of coastal waters from Point Chehalis to the Queets River, expanding on a closure in effect since early June that extended 45 miles south to the Columbia River, the state Department of Fish and Wildlife said on Aug. 4.